We cant wait to play in the FIRST EVER Rock N Roll Roulette!!! 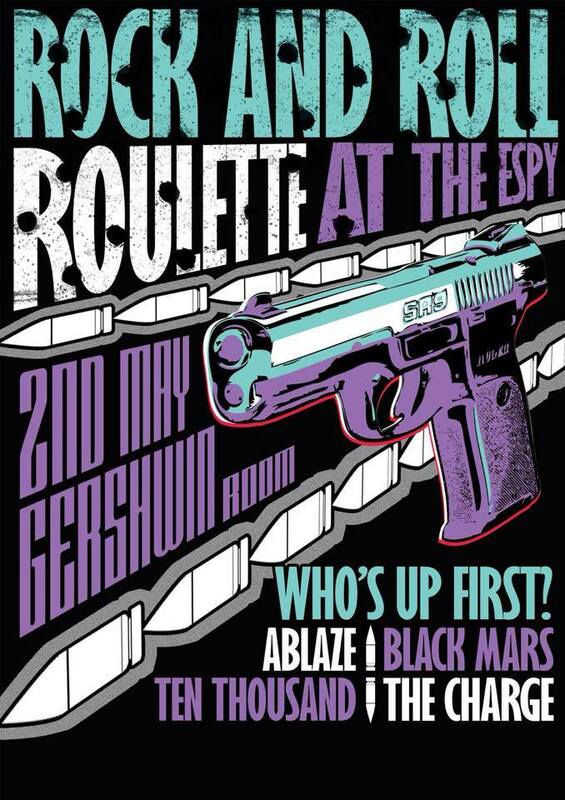 Four headlining bands front The Espy‘s brand new night on the iconic Gershwin Room Stage, Saturday May 2. Set times are drawn randomly on the night! Who will headline? Black Mars, Ablaze, The Charge or Ten Thousand? Tickets are only $10 through the link below – dont miss out, this will be absolutely HUGE!! !